This page is not affiliated with Rickenbacker International Corporation. It is intended for the registrant’s personal use and the registration is unofficial. It’s purpose is to research Rickenbacker models through the development of a worldwide database. This page is not a commercial, but rather an academic, venture. Photos submitted are considered to be in the public domain unless indicated otherwise. Permission is sought for posting copywritten material. Should your photo appear here without your permission please email us and it will be deleted. Your comments with regard to the historical, technical and performance aspects of these guitars are invited and always welcome. The results of the database will be presented on this site as the information becomes available. Rickenbacker Research is not limited to the direct study of musical instruments. The study of Rickenbacker instruments and the artists who have played them provides a window to the social, psychological and political fabric of the 20th and 21st centuries. Many significant historical and social events have a connection with Rickenbacker guitars and basses. These instruments have been associated with some of the most influential performers of the past seven decades. As a consequence, their study provides heuristic value, directly and indirectly, in understanding aspects of human behaviour. In many respects, the research contained herein is an academic endeavour pertinent to the study of psychology and history. The wealth of valuable information submitted by visitors to this page and through the alt.guitar.rickenbacker newsgroup is gratefully acknowledged. It must be stated that without your significant contributions, support and feedback this page would not be possible. For those who find pages such as this one pure trivia, it should be remembered that while information for its own sake can sometimes seem irrelevant, it is only useless when one is unsure of how to use it. I hope you enjoy the site, visit often and agree that the study of Rickenbackers is a worthwhile pursuit. For the author of this site, “The Beatles”, “Rickenbackers” and “The Searchers” are developmental pathways to heaven. 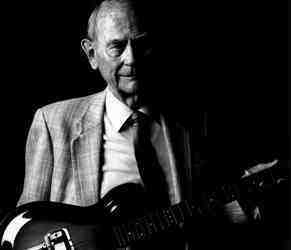 The Rickenbacker Registration Page remembers the outstanding efforts of Mr. F. C. Hall (1908-1999) in the development and production of Rickenbacker instruments. Through his vision and the continued efforts of his son, Mr. John Hall, Rickenbacker International Corporation continues a nearly 82 year old American tradition of crafting guitars of the finest quality.